Double Deck Plastic Pallets The Smart Choice! From Light-duty usage to a heavy-duty rackable plastic pallet – a solution for every application!! Designed for the daily rigors that pallets are subjected to, our base models are the right choice to lower pallet cost and maintenance. 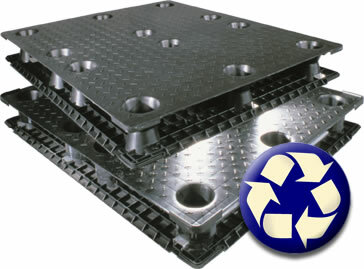 A wide range of options allows customization to build a plastic pallet that matches it intended use. Polypropylene blend – Injection molded of a durable plastic that resists shattering and crumbling in cold storage or freezers. Recyclable – Polypropylene is easily recycled which lowers disposal costs. 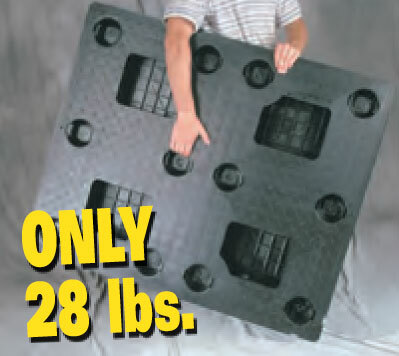 Lightweight – these plastic pallet weights start at just 29lbs. Four Way Entry – standard deck size of 48” x 40” can be entered by forklifts or hand trucks from any side. 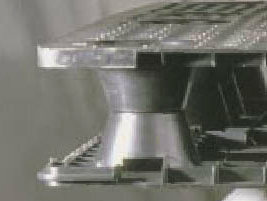 Entry area is 4” high and depending on model from 10” to 11.3” wide.